I bought this AWS-100 scale from Amazon last week because I thought it might sometimes be helpful for counterfeit detection. 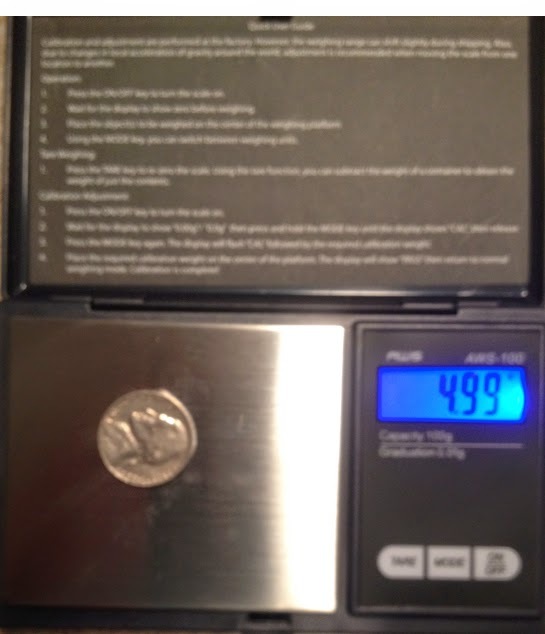 It's light and small enough to carry in your pocket and supposedly is accurate to 100th of a gram. I'm not too sure about that. 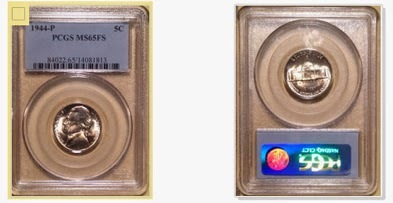 Take a look at these sequential photographs of weighing a nickel on this scale. 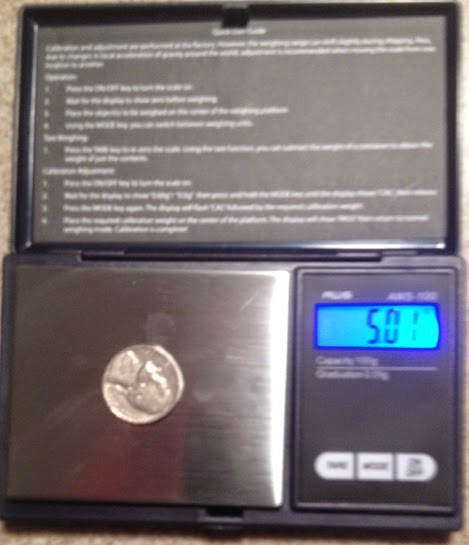 A nickel should weigh 5.00 grams. 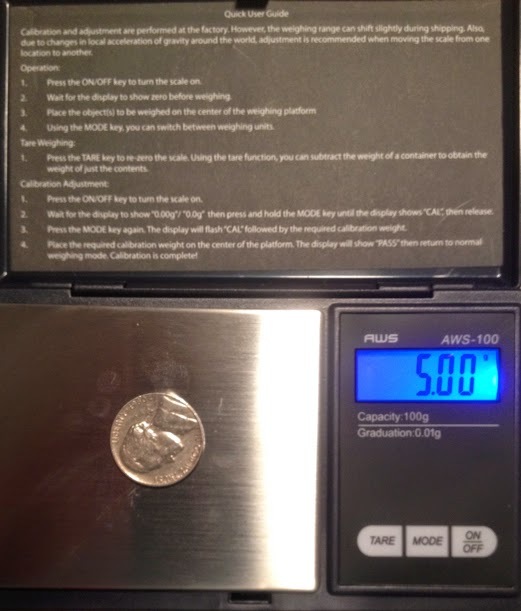 On each weigh, I turned the scale off, counted to 10, turned it on and counted to 10 again before putting the nickel on the scale. You can see that the results varied quite a bit. I've also seen 4.96 and everything in between all the way to 5.03. If that is good enough for what you are trying to do, that's fine. For example, if you were weighing gold at $1,300 an ounce, you could be off by as much as $1.80 or so. That's not much, though it could matter to you. Based on my testing, you could cut that margin of error with repeated weighings, so that might help too. 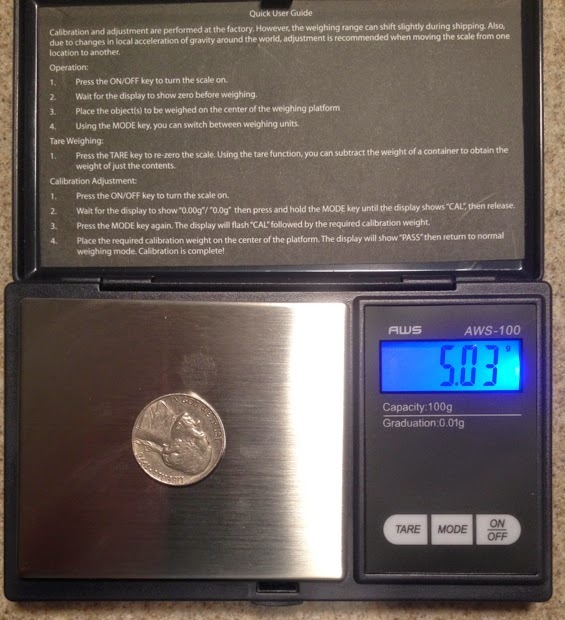 This might certainly be enough to spot a raw coin of improper weight. It won't help much if the coin is in a slab, though. 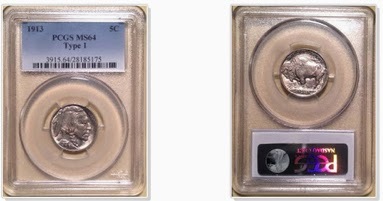 I wondered if it would be possible to determine the tare weight of a slab and thereby know the weight of the coin inside without breaking it open. Of course, you first have to know what slab you are looking at. In examining my coins, I found at least half a dozen types and each would have its own empty weigh. 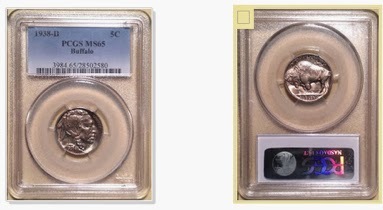 In addition to that, some of the styles use plastic fingers to hold the coin - a smaller coin would use more plastic, so you'd also need to account for that. 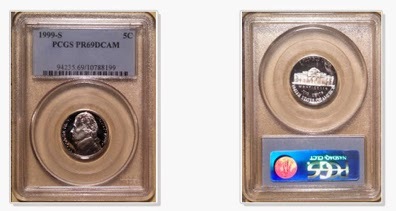 The next two I tried were a different style and here the difference was only .09 g, but it's obvious that you cannot expect to accurately determine the weight of a slabbed coin this way. Given the difficulty of even getting repeatable weights, I'd say this idea is hopeless.